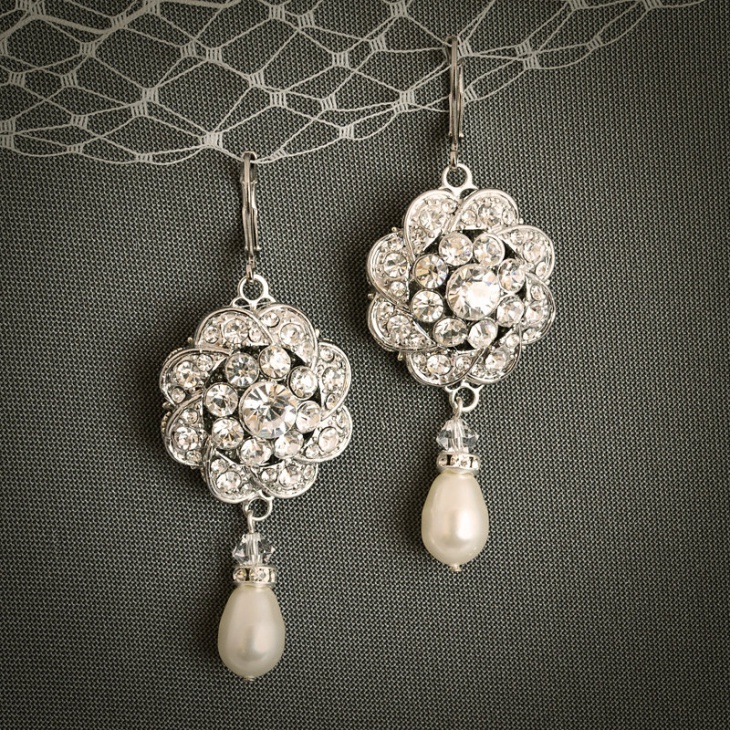 Earrings are ornaments that beautify your overall outfit. 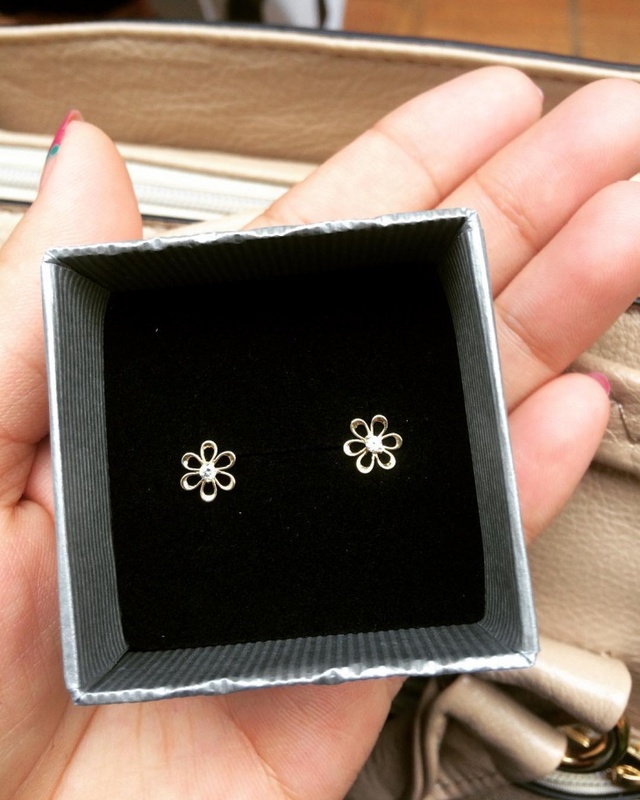 What if these special pieces were in the form of flowers? Won’t they just look extraordinary? Each design over here is beautiful in its own way. 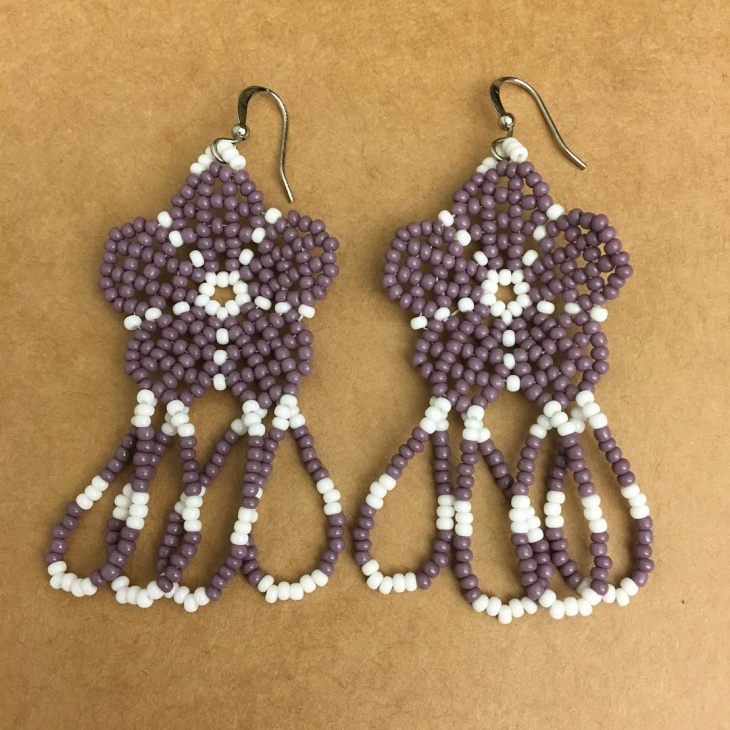 Earrings bring out the beauty of a flower and each design has so much work that has gone into it, mostly a lot of detailing. 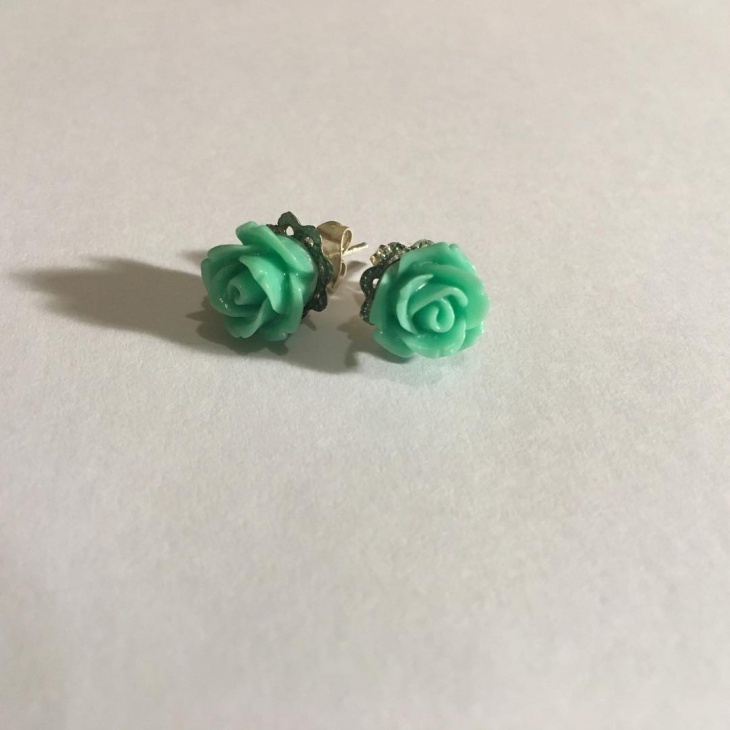 We went on to for very cute earrings and we found 20 of them. 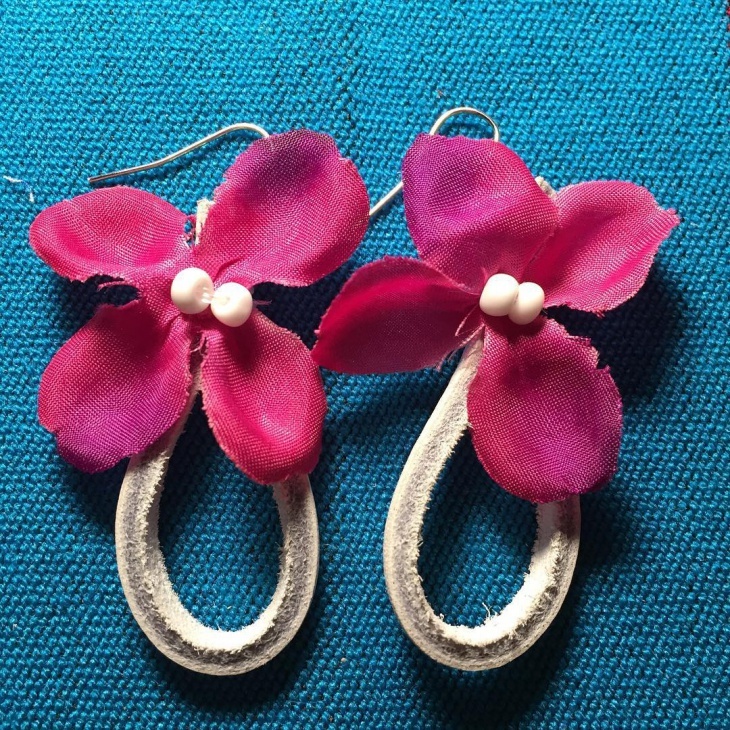 These flower designs are something you could buy and keep a lifetime because they will never go out of fashion. The flower is engraved in gold. This is so lovely to even look at on the screen. 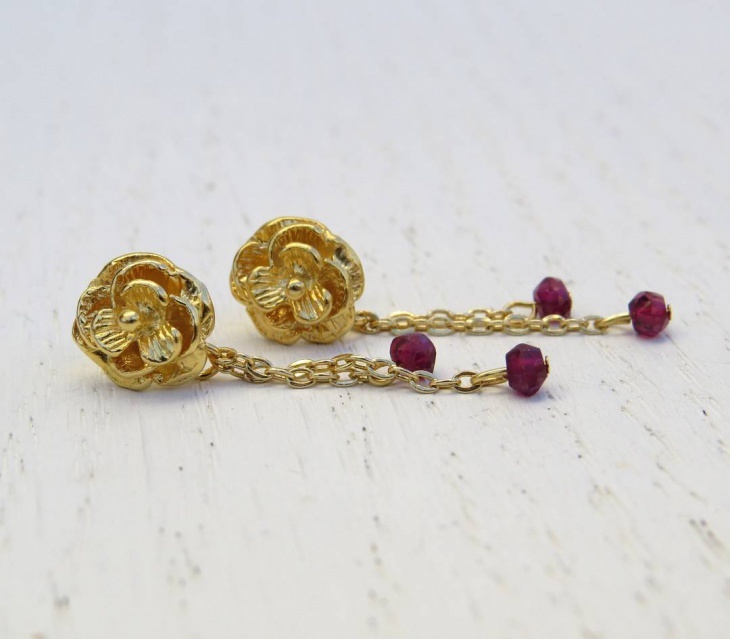 This drop down earrings with the beautiful gold and magenta color is a complete eye pleaser. 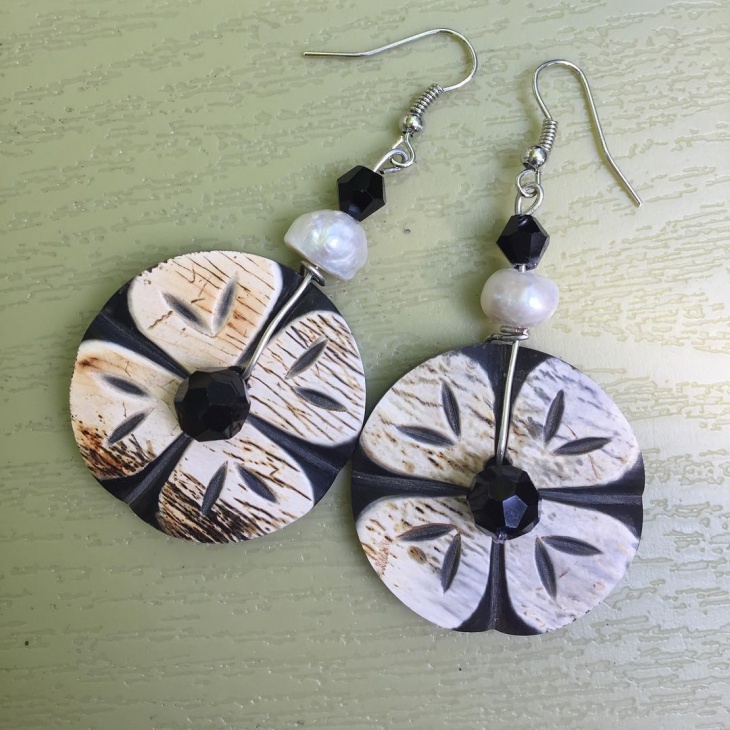 They are suitable to wear with any party wear. Trust us on this; this is a complete attention grabber. This is a flower design with wires. 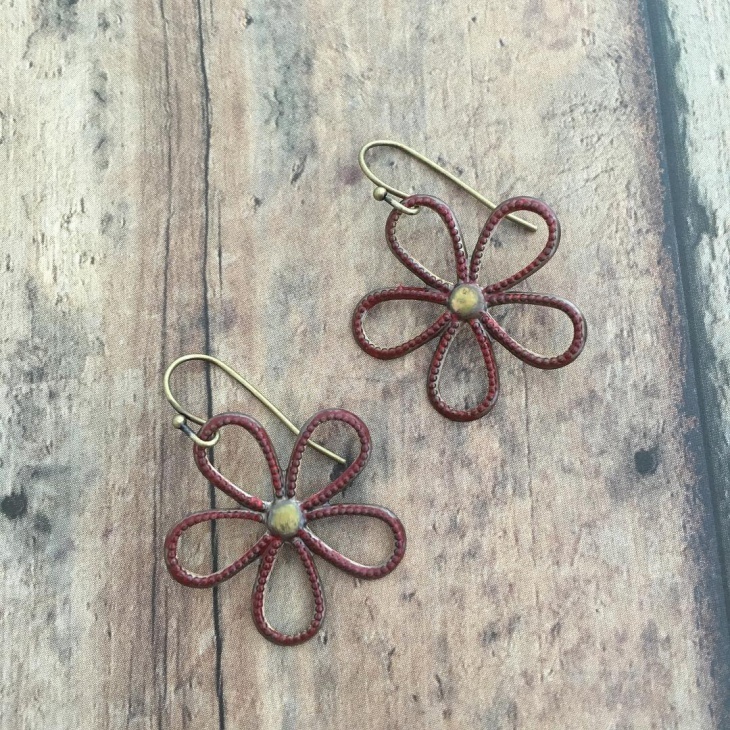 The metal wire is wound around to make a pretty little flower. 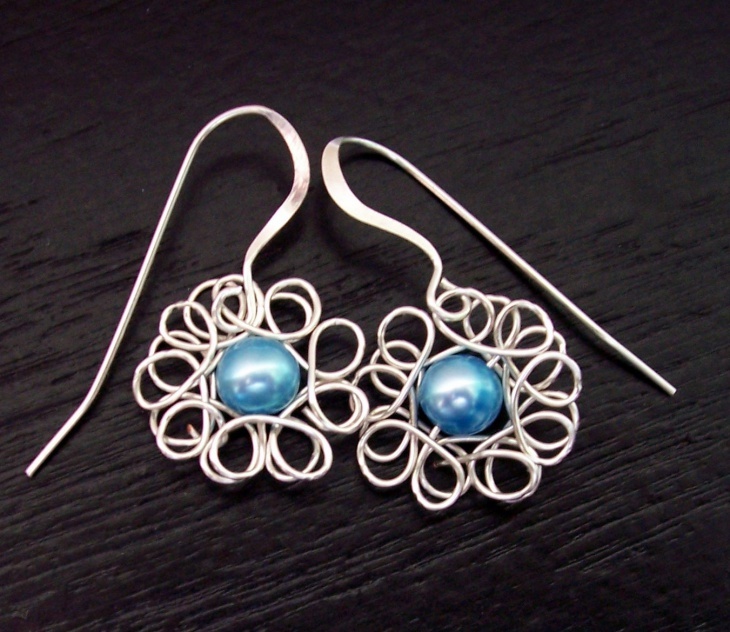 The blue ball in between makes the overall earring look classy. Well, the only word that comes to our mind when we see this is the word ‘cute’. 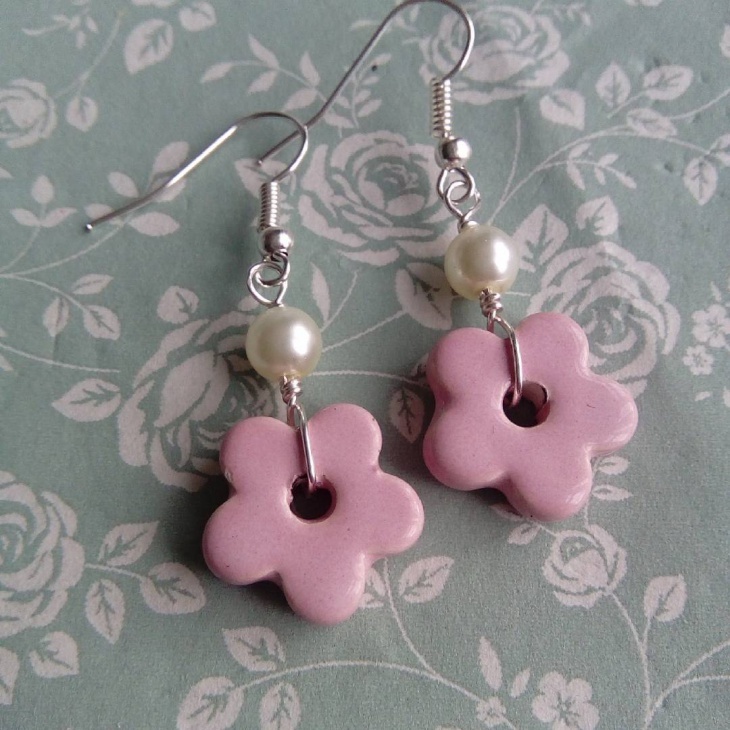 The polymer clay is shaped into a cute pink flower. This almost looks like a snowflake earring. This is for someone who wants to wear it on a regular basis with jeans or anything else. 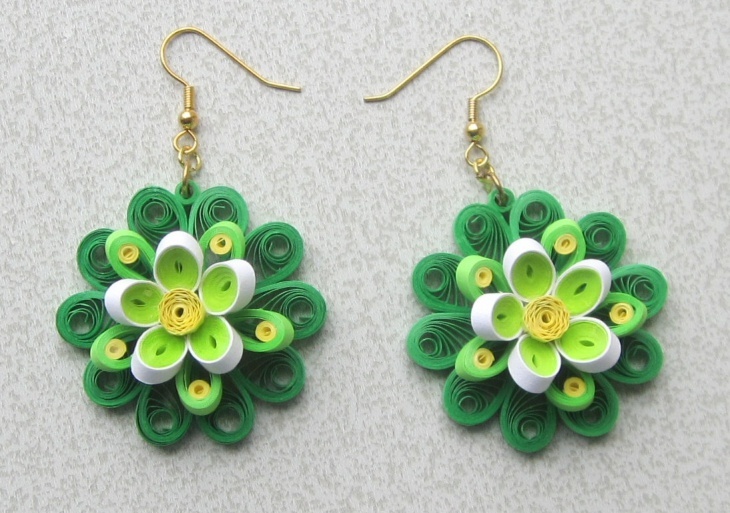 Now we see a lot of art with quilling paper and earrings are the popular ones among all them. 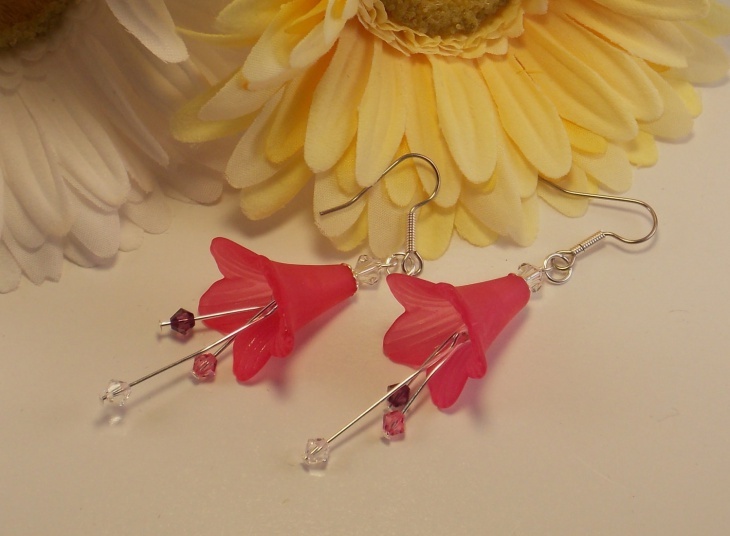 This quill earring is made out of a type of paper called quilling paper. This is suitable for your everyday wear and will look gorgeous. It is very different so you are ought to stand out. 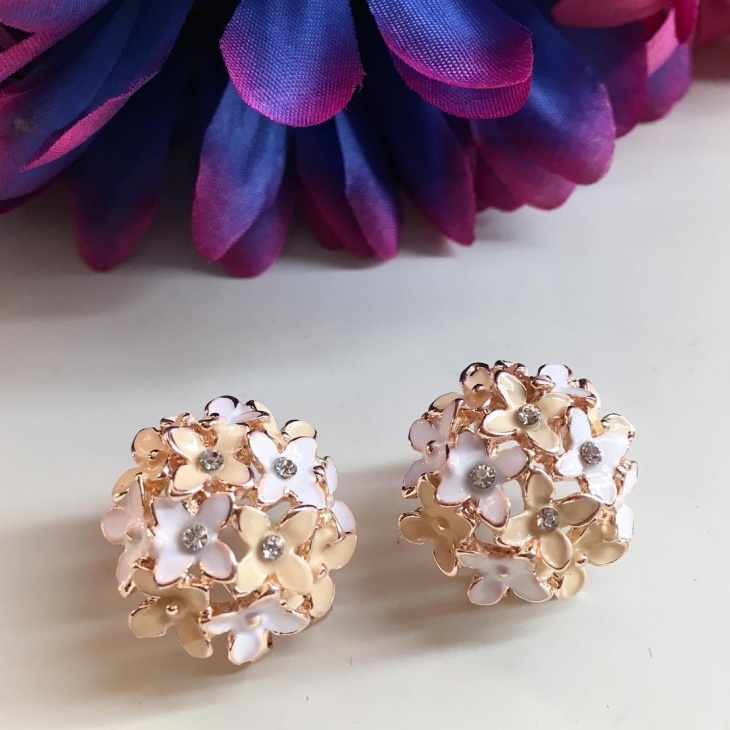 These are simple stud earrings that again can be worn on an everyday basis for any outfit. It will go with any outfit and you will look stunning. You can experiment with different colors. Match them with different outfits also. 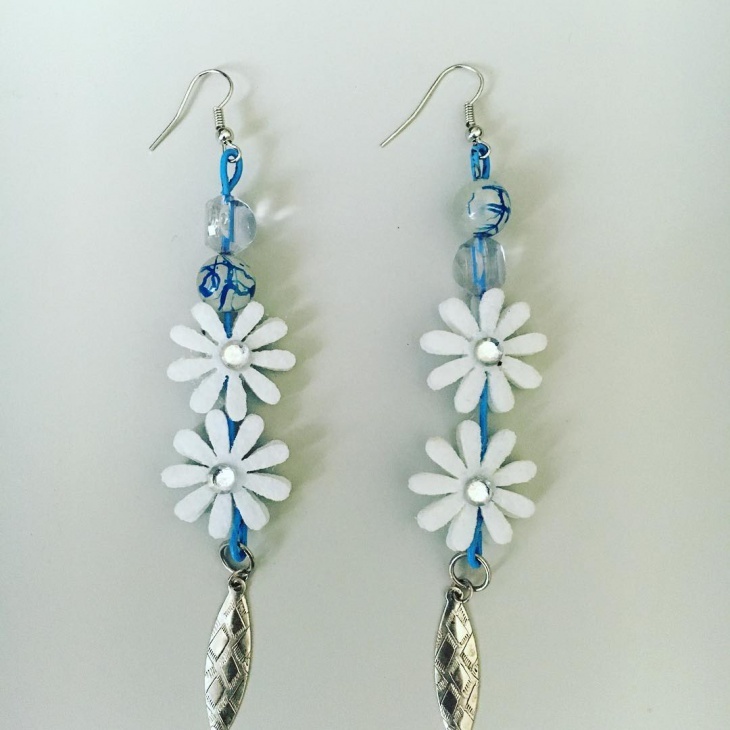 These daisy earrings are like snowflakes, white and beautiful. 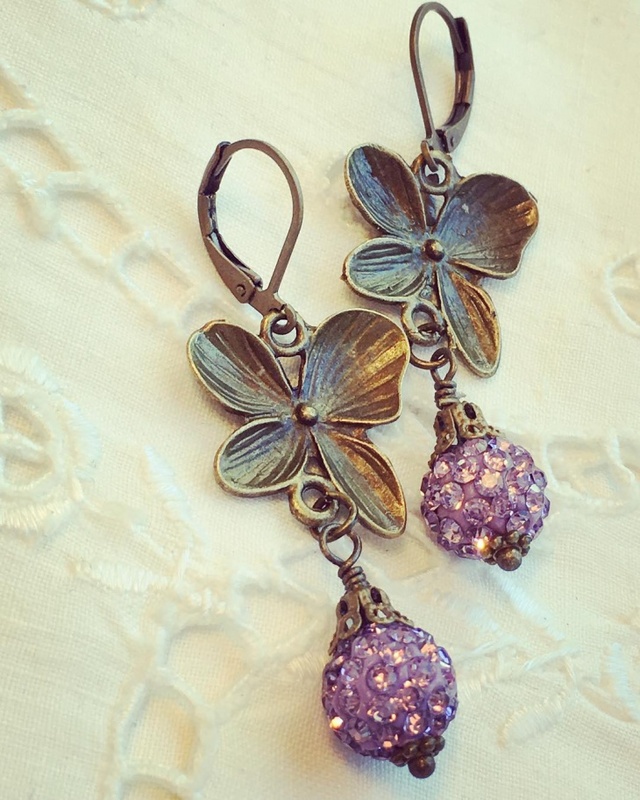 These flower hanging earrings will look graceful on you. Wear it with the cute dress of yours. 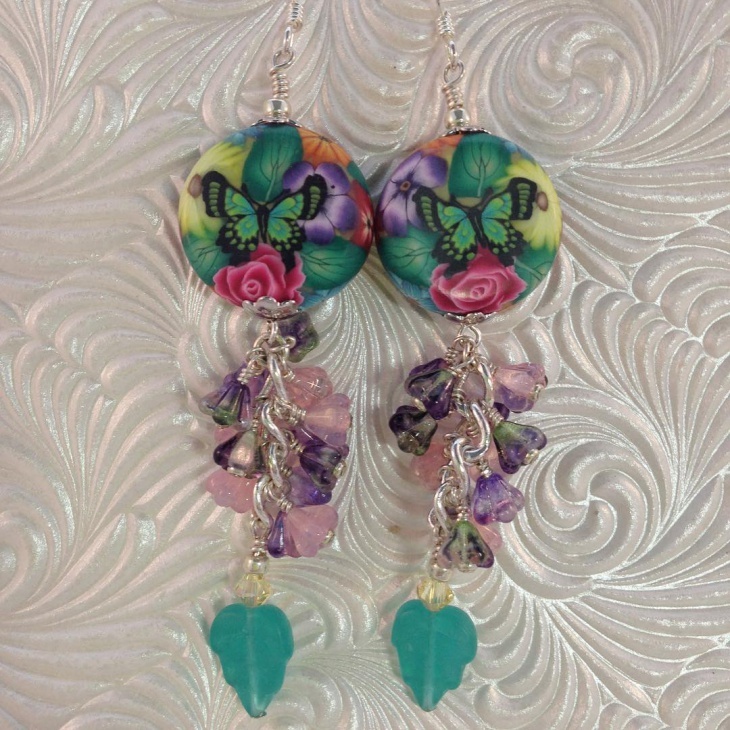 These acrylic flower earrings look eccentric. 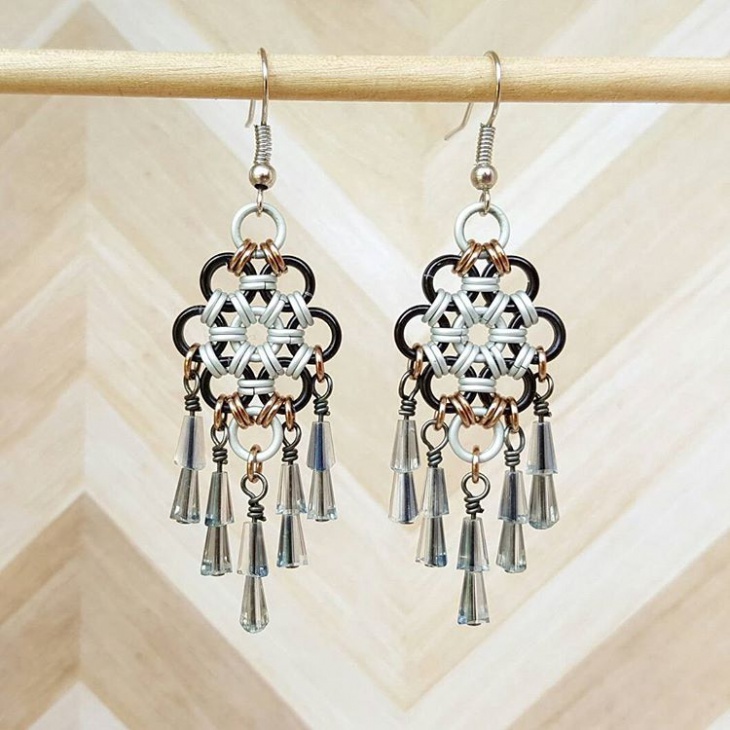 They are dangling earrings with the most beautiful design. 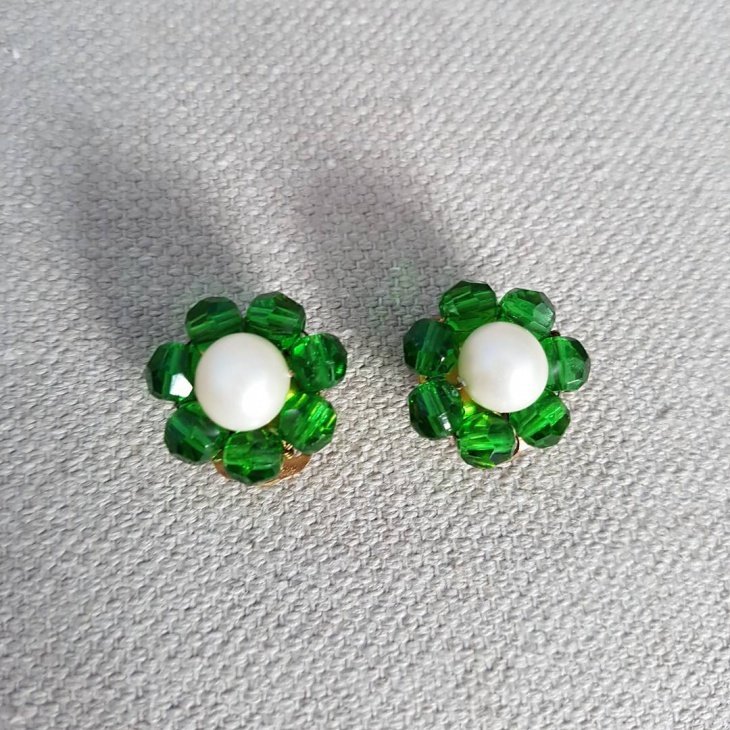 It has smaller drop downs from the main earring. 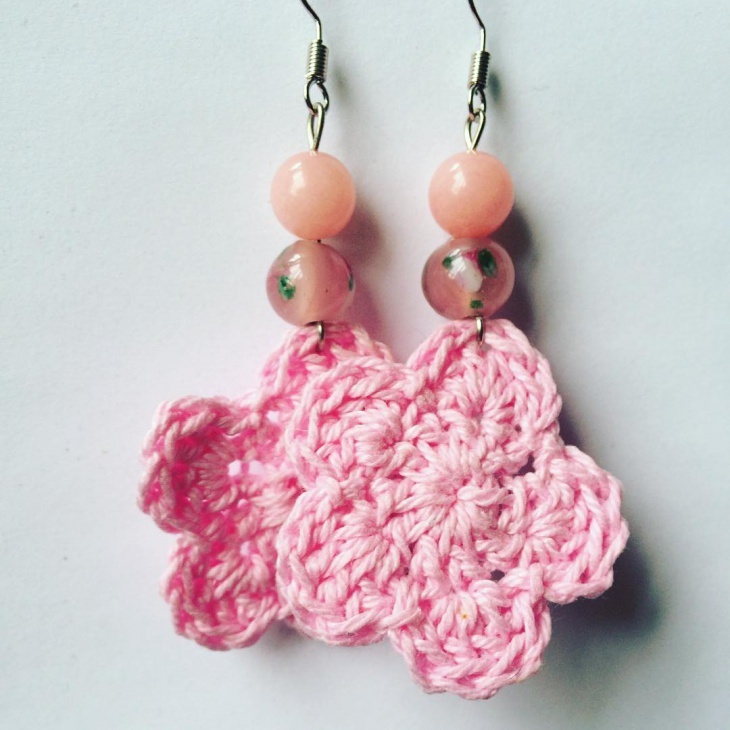 This is suitable for a bright top of yours or even a gorgeous light colored dress. This will make you look fashionable. This is a simple and smart design that will look good on anything black. The cross metal within the main earring is done with so much detailing. This is a beautiful design with a lot of intricate work behind it. 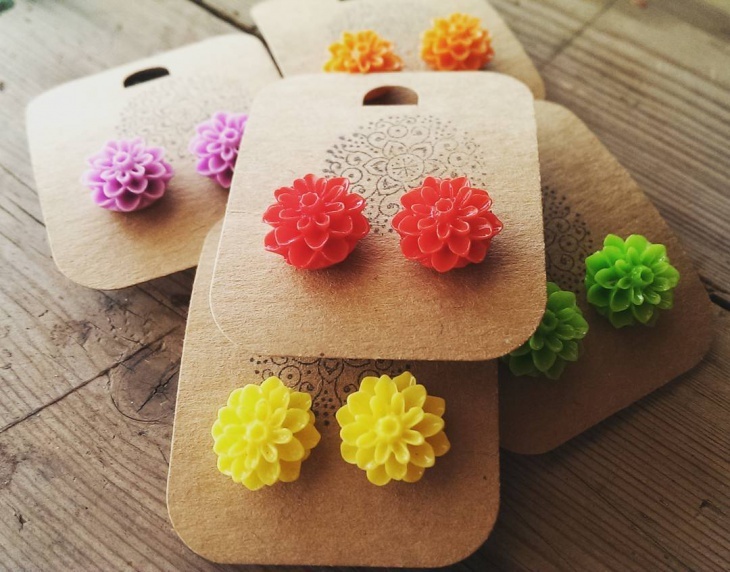 Be it artificial, quilling, polymer or diamond earrings, we have all kinds for you and these are much more than just pretty earrings. 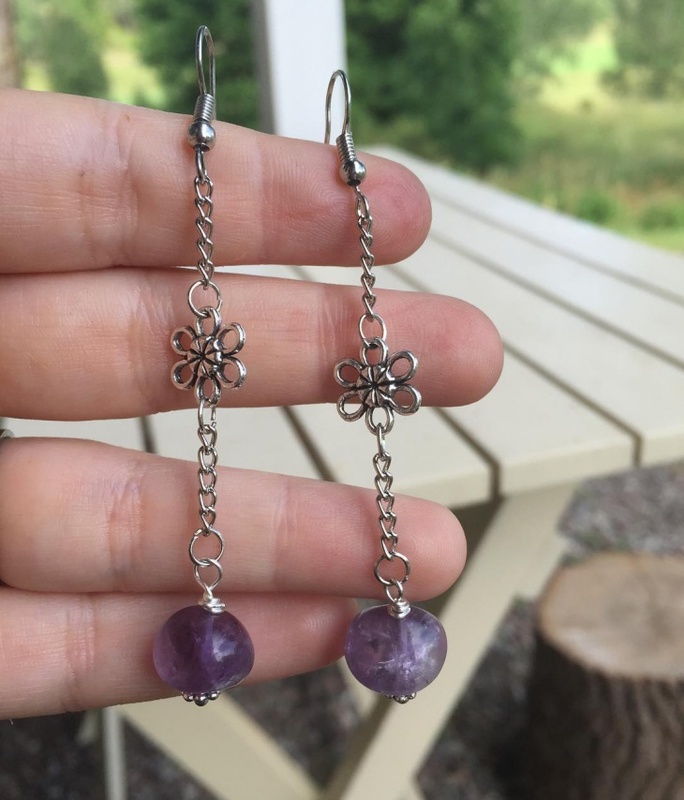 They are gorgeous and is for all the pretty women who love jewelry.